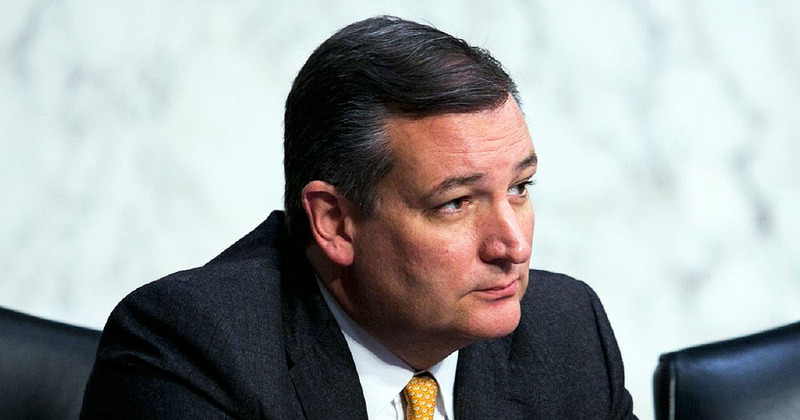 A day after President Trump announced he had a plan for giving illegal alien squatters citizenship and rewarding their squatter parents who brought them here illegally with foreign-born citizen anchor babies, Sen. Ted Cruz (R-TX) voiced his opposition. The White House provided details on Thursday to the plan generally announced by Trump a day earlier, stating that 1.8 million illegals would be given what is essentially “successful evasion recognition awards” for defeating US immigration law, with the support of open border globalist Democrats. Senator Cruz was obviously not only directing his comments towards President Trump but also his colleagues in the Senate who are racing once again to cave in to Democrats on the issue and giving it a stature it does not deserve. The border wall is a critical issue. Rewarding lawbreakers who are part of the problem that is forcing us to expend billions of dollars to prevent others from doing as they did shouldn’t be. President Trump offered citizenship as a bargaining chip in order to gain Democrat cooperation on funding the border wall. He stated that they wouldn’t have citizenship immediately, that it would happen in ten to twelve years. That’s semantics. All the illegals really care about is being able to stay openly. The process under which that happens is secondary and there is little sense of patriot pride driving it. The citizenship component is important to their Democrat enablers, who see them as extending their power. Senator Cruz’s response is similar to that of many other Americans who want border security, including a wall and workplace enforcement, as well as an end to the gravy train of social benefits. Many fail to understand why we have to surrender to the lawbreakers and their political terrorists sponsors in the Democrat Party in order to be able to meet the needs of our nation. We know that something has to be worked out for the “dreamers” here in America. 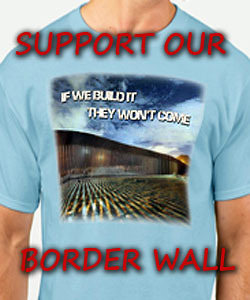 I am wondering what you have in mind if you don’t agree with President Trumps wanting to give people who have been here a number of years and have proven they want to be good citizens, a way to stay. We cannot send all dreamers back where they came from. You guys are suppose to be smart but sometimes I wonder if that is true. It begins with giving them a reason to go back, Sue – employer sanctions and an end to you paying for their rent and trips to Wal-Mart- Self deportation. The only reason they’ve been here a number of years is because they were getting away with breaking the law – hardly a justification for making it official. Deportation is not punishment, it is doing what is right, putting them and their squatter parents in their own land where they have citizenship and full rights. That’s semantics. All the illegals really care about is being able to stay openly. If even 1 is allowed to stay, regardless of the conditions, they will be staying due to legal challenges, Beyond that, IMO, within less than a year they will be granted citizenship because it is “not right” that they be here and be denied. Any time constraints should be, maybe 2 months, to get out, be forcibly removed. We’re being fed the John Kasich posture on illegals we rejected in Nov 2016 – It’s still not going down for me. – I’ll be gone for about 24 hours, Ben, got some personal business to tend to, I’ll see you guys when I get back. Good luck, I hope all the best for the outcome. Cruz is using this issue to further his own political future with conservatives. Of course, there should be no amnesty or path to citizenship for lawbreakers. If they have SS#s, they stole them. Where are these 25-35-year-old babies’ illegal alien parents? Have they been deported? If not, why not? Have they assimilated? No illegal alien “invader” should be allowed to jump in front of immigrants who honor our laws and wait in line for citizenship. I agree with Cruz on this matter. I have supported Trump since day one, but this issue will end that support. There should be no amnesty. However, there should be a path to citizenship, although many of these folks had 20 years to pursue it and didn’t. I think they should be given a timeline to get citizenship and they need to be followed to make sure they are on task. I don’t think any of these illegal immigrants think the US is serious about this. But if they are truly assimilating, then citizenship should be on their radar. They should have earned SS numbers and should be contributing to the tax base. I fail to see how an illegal immigrant can pay into the tax system without a social security number. Get the citizenship. Kay, maybe you’re a member of the wrong party. The President ran on the agenda of DEPORTING ALL ILLEGALS. That should include DACA and dreamers. How do you think they’re living here. It’s called free loading on our Welfare, food stamp and Medicaid systems, which they say are going broke. Do you want to keep supporting them? We are also supporting the Syrian refugees that Obama imported WITHOUT OUR PERMISSION for 7 years. They need to go back to Syria since the ISIS has been removed from their country. DEPORT THEM ALL. i stand with Senator Cruz on this issue.